We attended a great session in Pubcon 2009 on Multimedia and Rich Media. Here is the brief summary of the session. A podcast is a series of audio files that can be downloaded through web syndication. It is an RSS feed that contains links to multimedia content. If you have audio without a feed then you are not podcasting. 1. Create an XML RSS feed. Optimizing your feed channel is similar to optimizing a web page. Keep it keyword rich. Keep the Feed items theme related and item specific. Restrict the title from 50-75 characters. 2. Validate your feed by using sites like http://validator.w3.org/feed/. Using feed burner is a good option. 4. Add the RSS autodiscovery, this is a technique that makes it easy for the browser users to find and subscribe to the feed. 5. Announce your podcast via normal social media channels like twitter and facebook etc. Optimizing for video is becoming more and more important. A research shows that 38% of users searching on google got video SERPs (search engine results). Search engines still look / read text and that’s how they understand video. Provide meta tags for each video while creating a video. Have a landing page for each video published. Surround the video with relevant optimized content. Tell engines where to find your video and the subject matter of your video. Submit sitemaps. It is the best way to get into search engines. Publish both video and regular sitemap. Link to your sitemaps in your robots.txt. When it comes video search, lot of traffic comes from Google. To get your video indexed by google, Create and submit video XML sitemap via webmaster tools. Google supports MRSS (RSS feed with media enclosure) and XML sitemaps both. Video SEO is now real time. More resources can be found here http://www.reelseo.com/youtube-video-search-ranking-factors/. YouTube ratings also often impact ranking more than views. For certain keywords YouTube ranks in real time. Google is good at finding duplicate content in YouTube. Another good tip would be to use adwords and other mediums to drive momentum to your video. In conclusion, search engines are getting better at indexing audio, video and all multimedia. 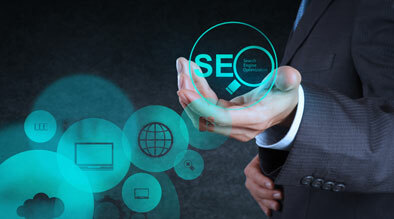 Optimize like your would for any regular content search engine.